Records are meant to be broken but some records are so improbable that the chances of them being broken are next to none. From the days of Charles Bannerman, Don Bradman to Jim Laker, Ian Botham and more recently Alastair Cook and Steve Smith, the Ashes has been filled with plenty of record breakers. While some of them have already scaled the mountain, others are on their way. But even for some of the best, these Ashes records are a bridge too far. The likes of Mitchell Starc, Alastair Cook, Steve Smith and James Anderson have already accomplished so much, but even they won't be able to break these records. 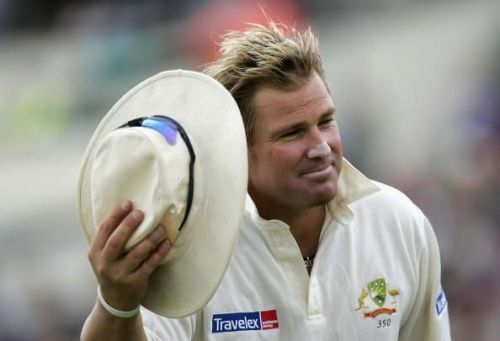 The record for the most wickets in the history of Ashes matches belongs to Shane Warne. The leg-spinner finished with a staggering tally of 195 wickets from just 36 matches, which is a world record for most wickets against an opposition in Tests. In a distant second place is Glenn McGrath, who has 157 wickets. One of the reasons why this record might never be broken is the sheer number of matches that a bowler has to play to achieve this feat. Even if the bowler goes on an incredible run like Warne, they need to play at least eight Ashes series, which means, they will have to be at the top of their game for more than a decade and a half. Considering the number of injuries that fast bowlers suffer these days and the lack of a world-class spinner in either side now, that record looks set to remain. Even among current bowlers, James Anderson and Stuart are at 87 and 84, more than 100 wickets away and both players are in their 30s.